Among the types of network cards offered by VirtualBox, you may have noticed that there is a "Paravirtualized network (virtio-net)". But do you know what is the purpose of this type of network card ? Without going into too much detail, it allows to use a paravirtualized network card (thanks to the virtio framework that came from the Linux KVM project). The advantage of this solution is that in this case, it will be a paravirtualized card and a network card emulated by the hypervisor. Which allows you to benefit from better performances. In this case, network exchanges will be faster than other network cards offered by VirtualBox. 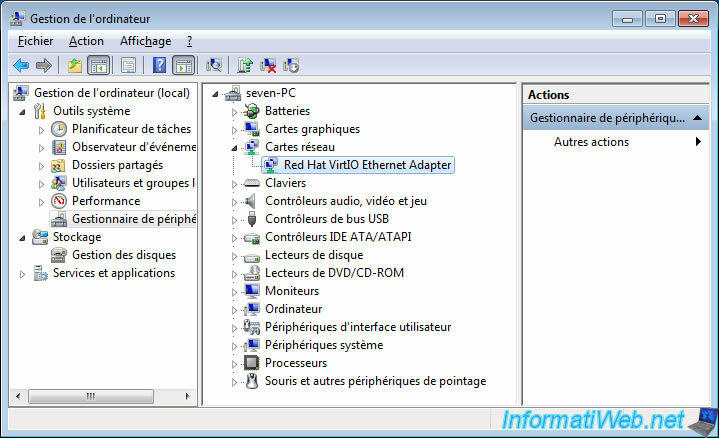 The main drawback is simply that it requires the manual installation of a (free) driver developed by Red Hat on Windows, because this type of network card is not supported by default by Microsoft operating systems. 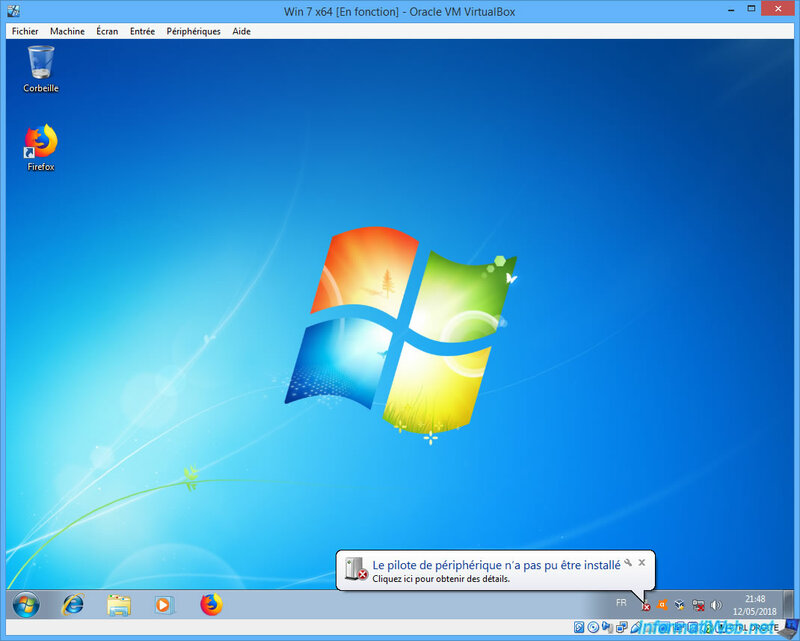 For this tutorial, we will use the "Paravirtualized network (virtio-net)" network card in a virtual machine under Windows 7. Then, in the network settings of your virtual machine, select this card type : Paravirtualized network (virtio-net). 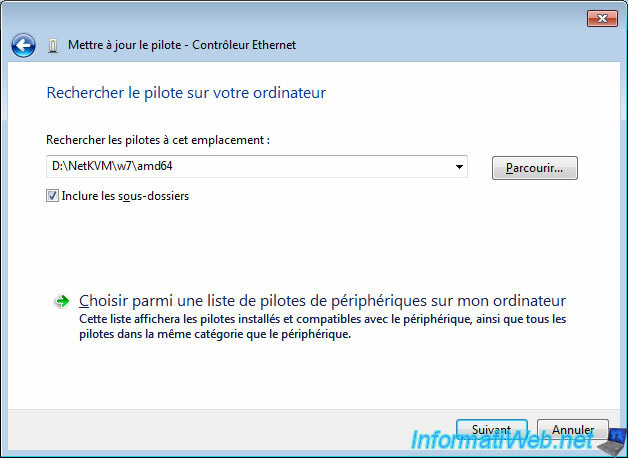 As expected, Windows will not be able to install the driver automatically since this type of network card is not supported by default by Windows. 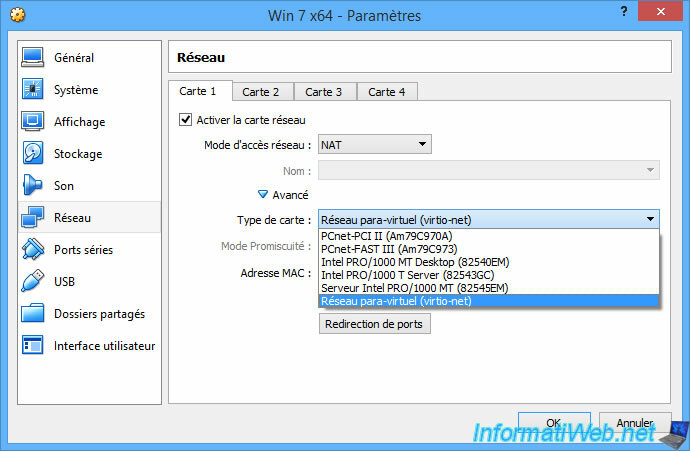 This also causes a network break in Windows 7 since the paravirtualized network card is not recognized at the moment. 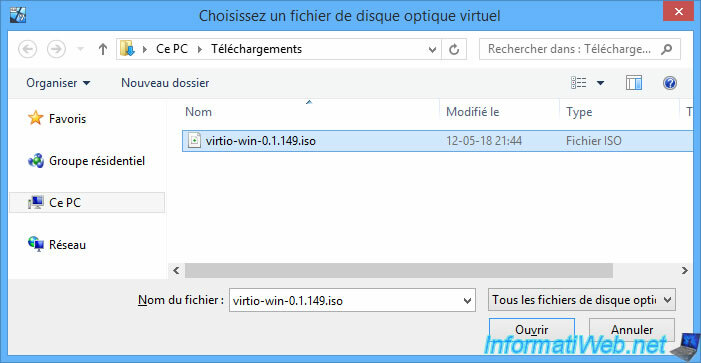 To install the driver in your virtual machine, first insert the previously downloaded "virtio-win-0.1.149.iso" CD into your virtual machine's CD/DVD drive. 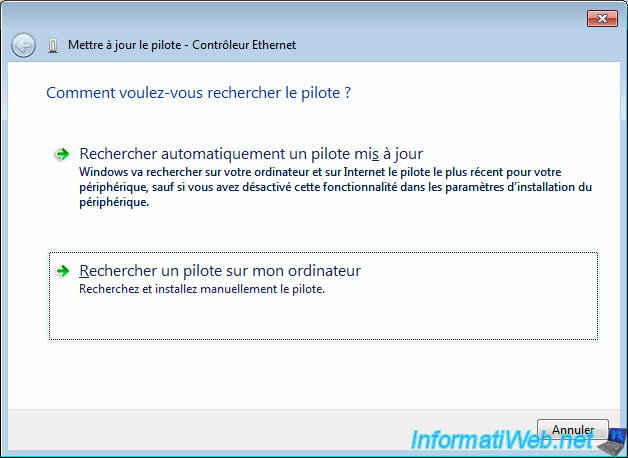 Then, open the device manager by going to the start menu -> right click on Computer -> Manage. Then, click on "Device Manager" in the list on the left. As you can see, Windows displays an Ethernet controller that doesn't have a driver. Right click on it and click on "Update Driver Software". Click : Browse my computer for driver software. In this version of virtio, the driver is in a subfolder of the NetKVM folder. To install the driver from the previously downloaded driver CD, simply click Browse and select the virtual machine's CD drive. Or to go faster, select the right folder directly. 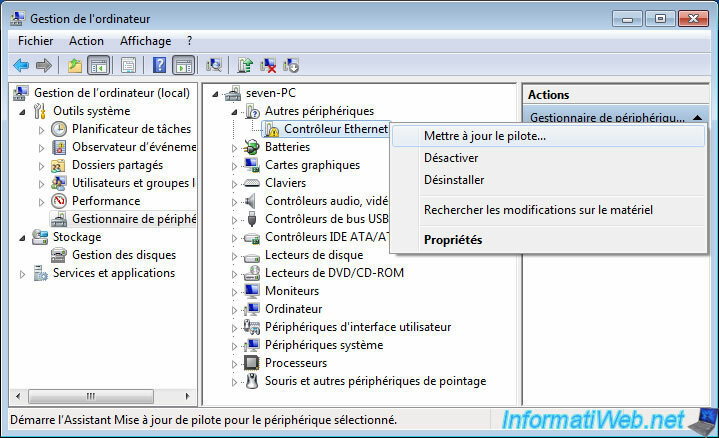 In our case, we select the "NetKVM\w7\amd64" folder to install the driver for Windows 7 x64. Windows recognizes that this is the "Red Hat VirtIO Ethernet Adapter" driver. Check the "Always trust software from Red Hat, Inc." box and click Install. 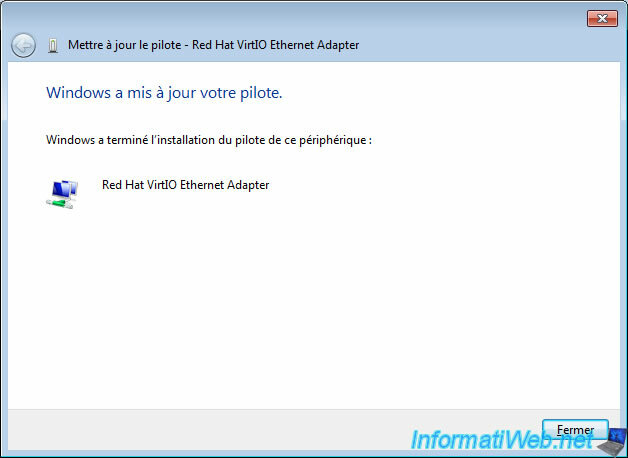 The driver for the "Red Hat VirtIO Ethernet Adapter" is now installed. As you can see in the device manager, the network card is correctly recognized by Windows 7. And it appears well in Windows network connections.